For the second consecutive year, Kellogg Community College is offering a free after-school robotics clubs for middle school students. The Bruin Bots Middle School Robotics Club, which is open to students in sixth through ninth grades, will meet from 4 to 5:30 p.m. Tuesdays and Thursdays beginning Feb. 6 and ending May 15. Meetings will be held at the College’s Regional Manufacturing Technology Center, 405 Hill Brady Road, Battle Creek. Registration forms are available online at http://bit.ly/1aOGcTw. Completed forms may be scanned and emailed to Bruin Bots Coordinator Kimberlee Andrews-Bingham at andrewsk@kellogg.edu or dropped off or mailed to Andrews-Bingham at KCC RMTC, 405 Hill Brady Road, Battle Creek, MI 49037. Enrollment is limited and granted on a first come, first served basis. 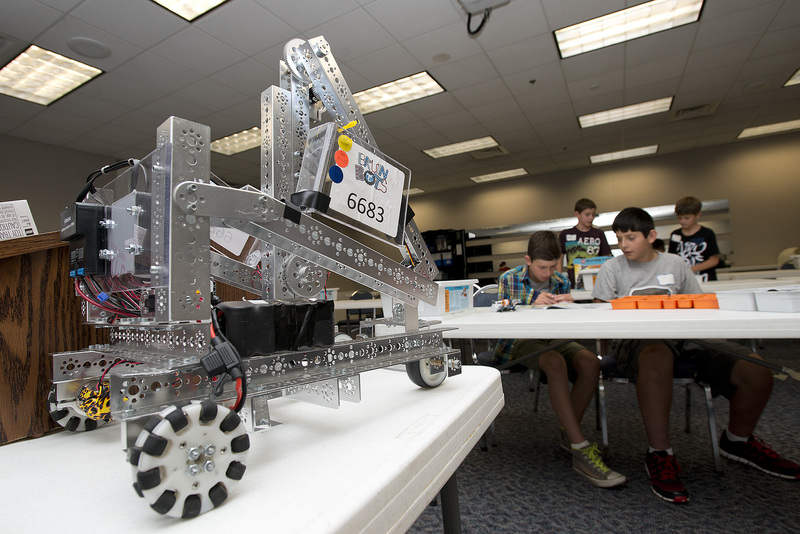 The after-school programming is one part of a youth robotics initiative at KCC that includes Bruin Bots robotics team competitions each fall and offerings of engineering and robotics camps during Spring Break and in the summer. These youth programs are part of a long-term community-based strategy at KCC centered on robotics that will eventually include courses for adults. These courses, which will be geared toward educators and community members who want to start robotics teams of their own or incorporate robotics into their school-based STEM curricula, are currently in the development stage. For more information about the Bruin Bots and community robotics initiatives at KCC, contact the RMTC at 269-965-4137.